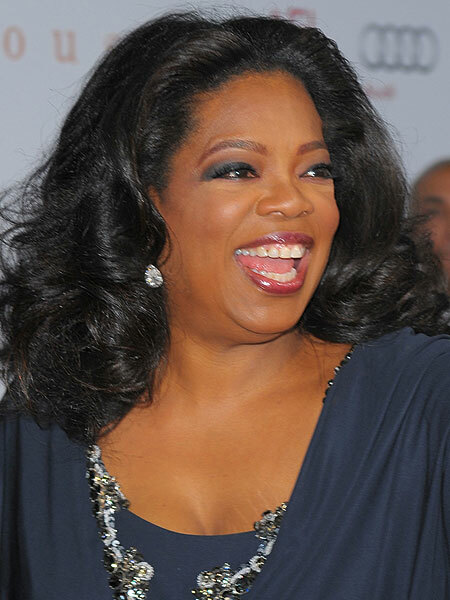 Oprah: Did You Hear the One About the Farmer's Daughter... Maybe? Norh Robinson, a poor farmer from Mississippi and a World War II veteran is making a desperate plea to Oprah Winfrey to take a DNA test to prove he's her dad. "I told her [in a letter], if she wanted, I'd give her one," Robinson, 84, told the NY Post. He said he dreams of talking to Oprah just once before he dies. The veteran claims that he met the talk show queen's mother in Kosciusko, Miss, saying they worked in the same area. Winfrey joked about his claims on Monday while presenting her friend Gayle King with a Matrix Award. "Every day she's [Gayle] getting more and more worked up about all of my new daddies that are now showing up. New daddies saying, 'Hello daughter, call me, I need a roof'." Gayle told "Extra," "It upsets me more than it does her. She doesn't give that kind of stuff energy. I'm the one that's going: Can you believe blah, blah, blah, blah... And she goes, 'Gayle, I'm just not even going to take it in'."